They are divine to look at and imbued with energetic powers to heal, strengthen, cleanse and calm. 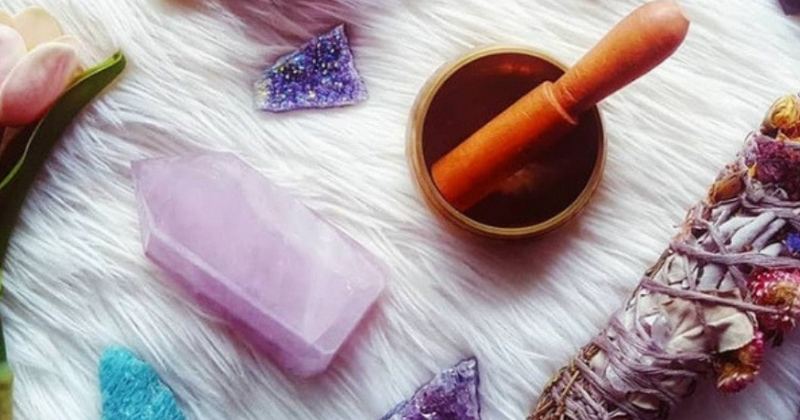 Crystals are becoming more and more popular as jewellery, in the home, and in beauty products. If you’re wondering which ones are for you, here’s an expert guide from Shaye Jeskie from A Guiding Light. What it looks like: Soft Pink in colour and translucent, usually comes rough or shaped. Why to embrace it: It embodies the vibration of love, tranquility, compassion, peace & forgiveness. Perfect for attracting a relationship, healing family issues and soothes unresolved pain. Physically, rose quartz brings back into balance, the heart and kidneys and connects with the heart chakra. 💎 According to Feng Shui, Place in the bottom left corner of your home/room from the door. Why to embrace it: Amethyst is known as the crystal of Protection as it is powerful and has a high spiritual vibration. It calms the mind, removes negativity from the wearer and it’s environment and dispels anger, anxiety and sadness. All round it’s an amazing stone. This stone physically balances the Circulatory system, Blood and Hormones and connects with the Third Eye Chakra (Ajna chakra). Why to embrace it: Known as the stone of Abundance, it attracts wealth, prosperity and success to you so keeping a small piece in your wallet brings good money energy. This stone is also highly energising and cleansing, making it perfect for the solar plexus chakra. Citrine physically balances the thyroid and gallbladder and connects with the solar plexus. 💎 Feng Shui recommends placing In the far left hand corner of your home (from the front door) to attract abundance & prosperity into your home. Why to embrace it: the ultimate grounding stone which helps you stay in the present moment and be clear of mind. It also is wonderful for dissolving negativity and addictions. This stone physically balances the kidneys, blood & circulation and connects with the root chakra. 💎 Place one on either side of your front door to clear Negativity & Stress from entering your home. 💎 Place it around your home to keep your home full of peace, joy and tranquility. What it looks like: Crystal Clear to opaque with no colour and found in cluster form, natural points, rough or polished and shaped. Why to embrace it: The most powerful healing and energy amplifier in the crystal kingdom, it heals, recharges, clears and stores energy. Great for blocking radiation and raises your vibration as well as regulates it. Physically, it balances the neck and immune system and connects with all the chakras, specifically the crown chakra. Why to embrace it: Sodalite helps you stand up for your truths and speak them with clarity and strength. It clears electromagnetic pollution from technology, protection you from the radiation and eliminates mental confusion, a rigid mind set and allows new information to be received. Physically, Sodalite boosts the immune system and the metabolism, helps with throat issues and lowers blood pressure. This stone also connects with the throat chakra. What it looks like: Reddy Orange, slightly translucent and usually has ripples of colour and bubbles. Usually found tumbled. Why to embrace it: Carnelian grounds you, bringing you into the present and fills your body with vitality and motivation. It gives you courage, strength and the will to live your life with vigour. It helps overcome abuse and helps you trust yourself. Physically, it balances the liver, gallbladder, female reproductive system, the back and connects with the sacral chakra. 💎 Wear it on your body as a bracelet, a tumble in your bra, a ring or necklace. Why to embrace it: Smoky Quartz is easy to obtain and is another great all round stone. It dispels negativity, grounds you, raises your vibration, eases stress and gives you strength. Physically, it deals with abdomen issues, hips, legs, muscles, the reproductive system, back, nerves, relieves pain and connects with the root chakra. Why to embrace it: Moonstone is a stone of new beginnings and strongly connects with the moon as well as the feminine energy. It promotes intuition, calms and balances your emotions soothes stress. It provides deep emotional healing and draws out emotional patterns that no longer serve you. Physically it balances the digestive system, Reproductive system, eliminates toxins, alleviates degenerative conditions and is excellent for all things girl related like PMS, pregnancy, breastfeeding, childbirth and conception. 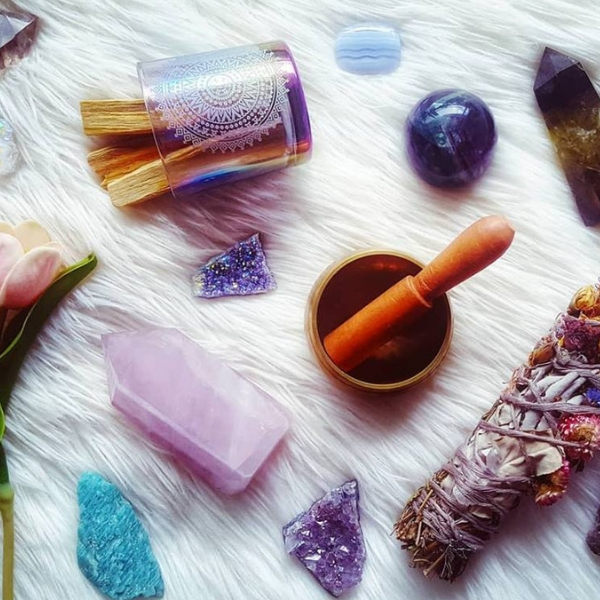 Shaye runs A Guiding Light, selling crystals for the body and home via her etsy store. Her instagram is @a_guidinglight . Shaye is offering 10% off any order with no minimum purchase required and a free Rose Quartz crystal using the code POWERLIVING. Interested in delving deeper into the chakras, complementary and holistic approaches to wellness and exploring your yoga practice with expert local and international facilitators? Check out our retreats and workshops.